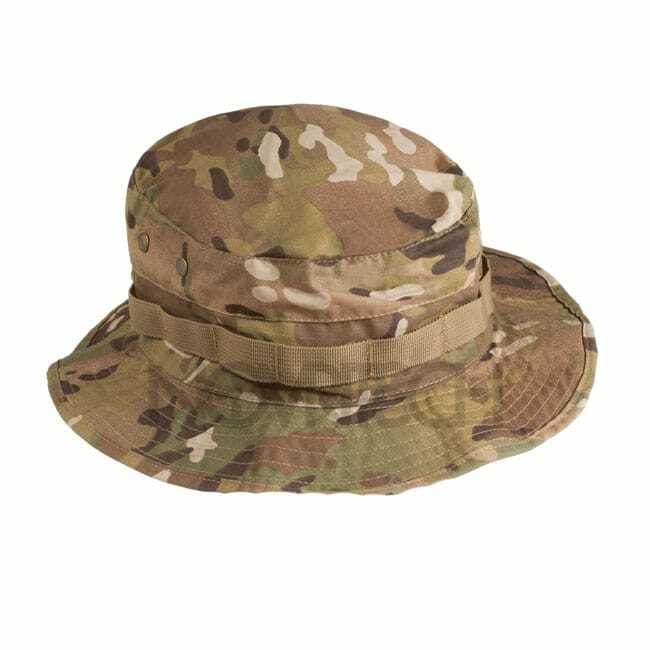 This Boonie is made from strong Ripstop fabric. With the loops on the side you can attach natural vegetation. The adjustable cord makes sure that you don’t lose it. A boonie breaks up the typical shape of a human head which can be spotted very easily.